The Road to the 2016 Kentucky Derby will continue on Saturday, October 3 with the second of two races on the day. The Grade 1 Breeders’ Futurity Stakes will take place at Keeneland with a full field of 12 horses. The Grade 1 event will be run at 1 1/16 miles on the main track and will be around two turns. The race has a purse of $500,00 and also awards points towards the Kentucky Derby Leaderboard. The winner will receive 10 points for the victory, second place will receive 4 points, third place will receive 2 points, and fourth place will receive one point. The Breeders’ Futurity is scheduled for 5:10 PM Eastern time and is carded as the eighth of 10 races. Free Past performances can be found here by going to Saturday, October 3 and going to Keeneland – Race 8. Entries have also been provided in the table below. 1. Rated R Superstar – His debut came on July 25 at Ellis Park. He pressed the pace throughout, but could not fend off the eventual winner losing by only a half-length. He came back last out to press the pace again, but this time he drew off to win by 5 lengths again at Ellis Park. In the latest race, he had a slow break in the Grade 3 Iroquois. He sat about 10 lengths off the lead early on, but went up on the backstretch and far turn to move all the way from seventh to second. He continued to run evenly in the stretch and finished second by 2 lengths. He will probably be closer to the pace today and has a good look from the rail to make some noise underneath at a price. 2. Uncle Jerry – His debut came at Presque Isle going 6 furlongs in early August. He was close to the pace and tried to run them down in the stretch, but could not get there. He finished third by 2 in a pretty solid debut. He came back about 6 weeks later going a mile. He had an unfortunate start where he was left near the rear of the field and had to come from off the pace. He made up his ground on the far turn and in the stretch he pulled away to win by 3 lengths. The waters get much deeper here and he will need to improve drastically to have a chance. 4. Gametown – He is a still a maiden, but he has two solid efforts on his resume. His debut came at Saratoga on the lawn going 5.5 furlongs. He had a slow start and was forced to close in the stretch, but he did stoutly despite some weaving in and out in the stretch. He finished second by three lengths and was then sent to Churchill to try the main track. He went a mile on September 11 where he had a much better start and close to the pace. He took the lead in the stretch, but was caught late and finished second again, this time by 3/4 of a length. He has some talent, despite not winning yet and could hit the board. 5. Brody’s Cause – His debut was horrendous on August 1 at Ellis Park. He went a mile on the turf, but did not lift a hoof finishing eighth by 25 lengths. His latest race was at Churchill Downs on the main track going a mile as well. He broke near the back of the field, but was within five lengths. He made a move on turn and continued his run in the stretch to win by 1 1/4 lengths. He has a decent chance in this spot. 7. Exaggerator – His debut at Santa Anita in early June was not very good. He was fifth by 9 1/2 lengths and was always well behind, but lost a talented horse in Nyquist. His second race was far better with him coming off the pace and was just able to get up for the win by a nose. He was then shipped to Saratoga for the Grade 2 Saratoga Special. He had a similar off the pace style and was able to close and win again by 3/4 of a length. He is a big threat in this race. 8. Sheikh of Sheikhs – He has only one start and it was a good one. He went straight to the lead and never looked back winning by 1 3/4 lengths at six furlongs at Saratoga. He will probably be on the lead again in this race and will be making his first start at a route. Interestingly, his latest workout was on the turf, which may be a signal if things do not go well here. Tough call on him. 9. Wild Man – Another horse who has yet to break his maiden, he made his debut on August 29 at Saratoga. Going six furlongs, he sat in a good spot behind the leaders, but could not make up much ground in the stretch, as he finished third by four lengths. His second start was at Belmont going a mile. Once again, he sat off the pace and he closed well in stretch. He was bumped and finished third by a neck in another solid effort. He does appear to be a touch below the top horses in here, but he has gone a route distance. 10. Threefiveindia – He debuted at Ellis Park in late August going 5.5 furlongs. He had an awkward start and was able to get a spot behind the leaders. He made his move on the turn and in stretch to win by 2 lengths. His workouts have been solid and he should like the extra ground. However, he will need to step way up to contend in this spot. 11. Pinnacle Peak – He debuted at Prairie Meadows in Iowa with a solid second place finish by 3 1/2 lengths. He broke inward and then came on in the stretch. His second start was a stretch out to a mile and he responded with a crushing victory. He went gate-to-wire and won by 10 lengths in an easy performance. He next start was in the Sapling Stakes at Monmouth and he had to go wide for much of the race. That took its toll on him as he weakened to finish third by 8 3/4 lengths. He will probably have another wide trip in here again if he wants the lead and that makes it tough to endorse him. 12. Uncle Vinny – He ran his debut at Belmont going 5 furlongs and he took over after a bit of a tough start. He won by 4 1/2 lengths and then had a quick turnaround to run in the Tremont Stakes two weeks later. It may have been too quick as he was never close to threatening and finish sixth by 7 1/2 lengths. After a slight break, he returned in the Grade 3 Sanford where he tracked and pounced in the stretch, but could not get to the winner. He was second by 3/4 of a length, but was put up to first after a disqualification. His next race was the Grade 1 Hopeful and he had a bit of a wide trip. He ended up third by 8 3/4 lengths, but was never seriously threatening to win. He will have a wide trip out here, but could find the distance more to his liking. This race was tough to figure out due to post positions and a lot horses trying this distance for the first time. #5 Brody’s Cause went this distance in his last race (around one turn), but he improved drastically from his turf try. #1 Rated R Superstar ran a solid second in the Grade 3 Iroquois and should have a good trip from the rail. #7 Exaggerator is talented and should appreciate the stretch out around two turns. #6 Sticksstatelydude is worth a shot underneath in the exotics. Check back for a recap of the Grade 1 Breeders’ Futurity Stakes. The Grade 1 Champagne Stakes will be at Belmont Park on Saturday, October 3, 2015. The race is for 2 year olds and is part of the Road to the Kentucky Derby. The Champagne will be run at one mile on Belmont’s main track, just like the sister race of the Grade 1 Frizette Stakes a race earlier. The purse is $500,000 and there are points awarded to the top four finishers towards the Kentucky Derby Leaderboard. The winner will receive 10 points, second place will receive four points, third place will receive two points, and the fourth place finisher will receive one point. Post time for the Grade 1 Champagne Stakes is scheduled for 4:18 PM Eastern Time and is carded as the eighth of 11 races on Saturday. Free past performances can be found here by going to Saturday, October 3 and Belmont Park race 8. Entries have been provided in the table below. 1. Magna Light – His debut came here at Belmont on June 28. He battled for the lead and drew off to by 4 1/2 lengths in the five furlong dash over a sloppy track. He then raced in the Grade 3 Sanford at Saratoga where he once again battle for the lead and held on for 3/4 length win. However, he was disqualified from first to third for bothering another horse in the stretch. His latest race was the Grade 1 Hopeful also at Saratoga. He got a clear lead, but was no match for the winner in Ralis. He finished second by 5 3/4 lengths and will be trying to go all the way again in this race. There is other speed in the race, but he has the rial, which will help him to save ground. He can hang around for a piece of the exotics underneath. 2. Greenpointcrusader – He debuted at Saratoga going 5.5 furlongs where he sat in the middle of the field. He came out in the stretch and made a big run to the wire, but just missed by a neck. His second race was very similar in that the stalked the pace and closed ground in the stretch. This time, he was able to win by a neck going 7 furlongs. He will probably have a similar type of trip and is a big threat in this race with the extra furlong. 3. Ready Dancer – His first start was at Belmont going five furlongs in early July. He dueled for the lead, but weakened to finish third by 4 1/4 lengths in a field of five. He then ran at Saratoga where, again, he dueled for the lead, but could not hang on in the stretch. He was second by two lengths in a field of 10 going 6 furlongs. His latest race was also at Saratoga going 6 furlongs. This time he was just off the speed by a length and had to go wide for most of the race. That did not matter as he was able to finally pull away and break his maiden by 2 1/2 lengths. He is likely to track the speed again and will like the extra two furlongs. Interesting 5-1 shot for Todd Pletcher. 4. Sail Ahoy – His first start came at Saratoga in late August going six furlongs. He was off slow and sat well of the pace. He closed to finish third in that race, but was not close to the top two as he finished 9 1/4 lengths behind Ready Dancer. His second start was here at Belmont going a mile over the main track. He was off the pace again that race, but this time his kick was more effective. He came wide into the stretch and began to eat up ground to win by a head. It was a solid win, but he will have to step up his game to have a chance to win here. 5. Ralis – He ran in a May 4.5 furlong dash at Santa Anita. He tried to come off the pace, but could only manage an even effort finishing fourth by 2 lengths. A drop in to Cal-bred MSW was him duel for the lead and win going away by 4.5 lengths about 3 weeks later. His third start was in a stakes race, but he was overmatched in that race finishing fifth by 9 lengths in a field of six. He ran a solid second in the Graduation Stakes at Del Mar on August 5 before traveling to the East coast for the Grade 1 Hopeful. He sat right off the pace in that race and blew by Magna Light to win by 5 3/4 lengths. A repeat of that race puts him right there in this race. 6. Rafting – He debuted at Saratoga going 1 1/16 miles on the grass. He sat well off the pace near the rear of the field and did not have much kick in the stretch. He finished seventh by 11 lengths and was then moved back to one turn on the dirt in his second start. Going 7 furlongs, he was much closer to the pace and sat right off the top leaders. On the turn, he started to move up and came out wide in the stretch to pull away and win by 2 1/4 lengths. It was a much better effort that will have to be replicated in this spot to have a chance of hitting the ticket. 7. Tale of S’avall – He has one start and one win. His lone race was August 29 at Saratoga where he sat off the pace by a few lengths, came out in the stretch, and then pulled away to win by 2 lengths. That race was at 6 furlongs, but the extra distance in this race should not bother him. He also adds lasix and his works have been solid in the morning. He has a big chance here with another off the pace move. 8. Sunny Ridge – His first race came in a $40K maiden claimer at Monmouth in June. He pressed the pace and was able to get up for the win by a neck going 4.5 furlongs. A move to Saratoga in his next start did not prove fruitful as he was hard to handle early in the Grade 3 Sanford. He came wide in the stretch as well, but was not close to contending for the top spots. He finished seventh by 3 3/4 lengths. His last race was back at Monmouth in the Sapling Stakes going a mile on the main track. He sat off the pace by a few lengths and then came wide in the stretch for his run. He closed stoutly and won by 2 1/4 lengths and will not try another New York stakes race. This is a tough spot for him and is considered an outsider here. 9. Portfolio Manager – The lone maiden in this race, he has run one race thus far. It was not a bad race by any means at Saratoga on August 22. He sat in the middle of the pack about two lengths off the leader and then started to make is move entering the stretch. He made up solid ground, but could not catch the winner, as he finished second by 1 3/4 lengths. It is a positive sign to see him entered here despite not winning his maiden race. He deserves a look at a nice price for the underneath slots. There are plenty of choices for the win end in the Champagne Stakes. #2 Greenpointcrusader has improved both starts and should end up with a good spot behind the leaders. #3 Ready Dancer could press the pace or sit just off of it, which makes him a threat for the duo John Velazquez and Todd Pletcher. #5 Ralis really exploded in the lane last out in an impressive performance in the Grade 1 Hopeful. He must not be forgotten about here. For fourth, #9 Portfolio Manager is worth throwing in at a nice price. He may be a maiden, but has every reason to improve. Also worth including underneath are #1 Magna Light, #6 Rafting, and #7 Tale of S’avall. This is a very deep race with some good quality to it. Check back on Saturday night for a recap of the Grade 1 Champagne Stakes. The 2015-16 Road to the Derby Series was announced on Wednesday with a few tweaks. 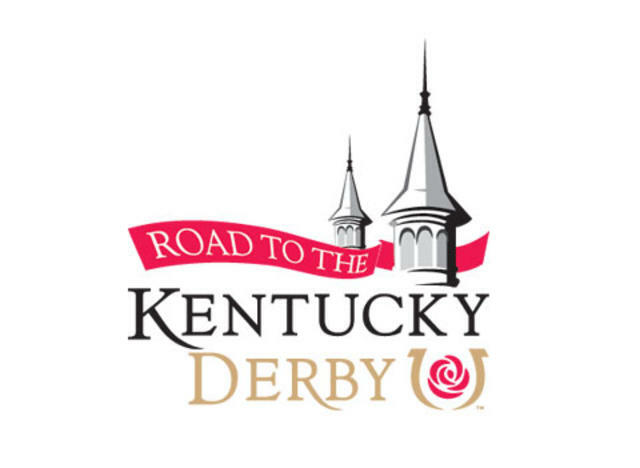 The Road to the Derby series will determine which horses can enter the Kentucky Derby via a points system. There are two separate categories for the races with the first 19 races comprising the Kentucky Derby Prep Season. Those races will award 10 points to first, 4 points to second, 2 points to third, and 1 point to fourth. There tweak comes in for the Grade 1 Breeders’ Cup Juvenile where the points are doubled. The winner receives 20 points, second place receives 8 points, 4 points will go to third, and 2 points to the fourth place finishers. It is also the same for the Grade 1 Breeders’ Cup Juvenile Fillies where the points are doubled. The 2015 Breeders’ Cup Juvenile and Breeders’ Cup Juvenile Fillies will take place at Keeneland this year on October 31. The final 16 races of the Road to the Derby series is called the Kentucky Derby Championship Series. Here, the points are even greater with wins going for 50 or 100 points. There is one wild card race, the Lexington Stakes, that will award only 10, 4, 2, and 1 points to the top four finishers respectively. The table below is the schedule for the 2015-16 Road to the Derby. Please note that the dates for the stakes races beyond the Breeders’ Cup Juvenile are tentative and subject to change. The same is true for the grade of the races, which are subject to change near the end of the year. The 2015-16 Road to the Oaks is comprised of 31 races. The first 16 races are called the Kentucky Oaks Prep Season and award 10 points to the winner, 4 points to second place, 2 points to third, and 1 point to the fourth place finisher, except for the Grade 1 Breeders’ Cup Juvenile Fillies (20-8-4-2). The final 15 races are called the Kentucky Oaks Championship Series and awards 50 or 100 points to the winner, depending on the race. The Beaumont at Keeneland is the wild card race with a 10-4-2-1 points payout. Below is the 2015-16 Road to the Oaks schedule. As with the Derby, the dates are tentative and subject to change. The graded status can also change prior to the end of the year. As with the 2015 Road to the Derby, previews and recaps of each race can be found here on Sports Enthusiasts.